This site is dedicated to the past, present and future of mobile phone technology. Check out our timeline which shows the process of mobile phone evolution over the past century. Find out how a mobile phone works along with what technologies are crammed into a machine the size of your hand! We also look to the future and see how the technology will evolve from here. Feel free to contact us with your comments or suggestion through this page. Mobile phones have become such a part of people’s daily lives it’s difficult to comprehend society without them. The history of the mobile phone as we know it today is not lengthy. The groundwork may have been laid with mobile radios and radio-telephones, but the story of the modern mobile really starts in the early 1970s. 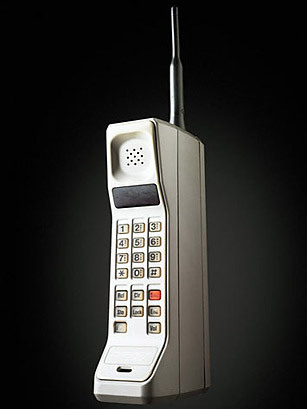 The first ever mobile telephone call was made on 3rd April 1973 on a Motorola DynaTAC8000X. The call was made by Martin Cooper of Motorola; the recipient was Dr Joel S. Engel of Bell Laboratories. The DynaTAC8000X became the first commercially available mobile phone. It didn’t go on sale, however, until 1983 and carried a price tag of $4,000. It was Japan where the world’s first cellular phone network was launched. Nippon Telegraph and Telephone were responsible. Before the Motorola DynaTAC8000X went on sale representatives from eleven European countries gathered to discuss the technical and political ramifications of establishing a digital cellular network. Thankfully they agreed to co-operate! Perhaps fittingly, English comedian Ernie Wise made the first public phone call on a mobile. He did it dressed in full Dickensian clothing outside the Dickens public house in St Katherine’s Dock in London. The call went to Vodafone’s head office. GSM – the Global System for Mobile Communications – was vital to the development of the mobile network system we know today. The technical specifications and requirements were agreed in 1987. They laid down standards to facilitate operability of networks across national boundaries. 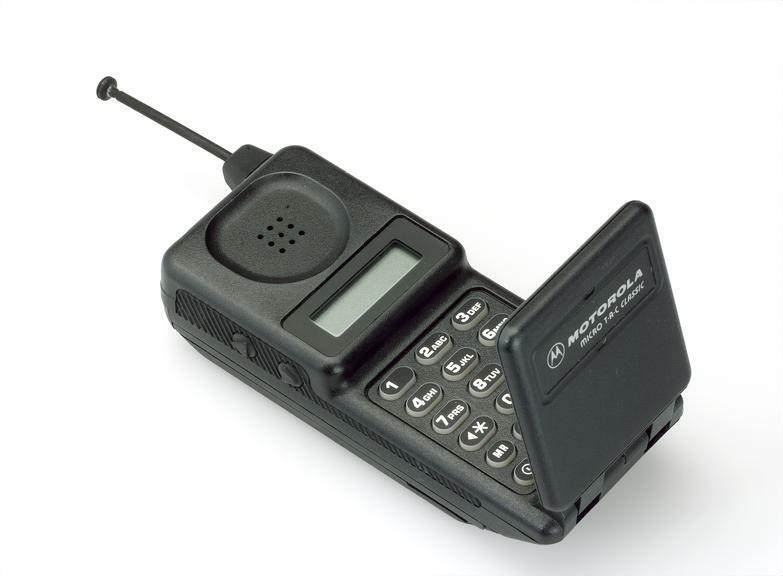 The first ever flip phone, with the mouthpiece folding over the keypad, was introduced by Motorola in 1989. The model was named the Micro TAC. The 1011 model from the Nokia Company was the first mass-produced mobile handset to have GSM. This was a landmark in the then limited world of mobile phones. This came at a price, however, with the handset bearing an asking price of no less than £234. 1992 also saw the first ever text message sent from a mobile phone. This was in the United Kingdom and was sent by Neil Papworth who was an employee of a company working for Vodafone to develop the messaging facility. The text was simple, merely reading ‘Merry Christmas’. The recipient of this historic text message was a Vodafone director. Touch-screens are such a part of everyday mobile phone use today that it may come as a surprise that the first touch-screen handset was introduced as long ago as 1994. The IBM Simon was only available in the United States of America and needed to be operated with a stylus rather than fingers, but it was still a major innovation. The Simon is also sometimes referred to as the first ever smart phone; it could receive and send email and faxes and had several other features such as a calendar and notebook now associated with smart phones. It was Vodafone who launched the very first no-contract mobile package in 1996. Called Vodafone pre-paid, this scheme may have been responsible for the huge growth in mobile ownership over the years that followed. The first mobile phone to offer a colour (although it was only four colours) screen was the Siemens S10. Only the text was in colour however. Downloading is now an everyday part of owning a mobile device; but it started with a simple ring tone in 1998. The very first downloadable content for a mobile was a ring tone from Radiolinja in Finland. By 1999 technology had moved far enough along to enable mobile devices to deal with email, by then an essential part of working and private life for many. The Blackberry was unique in being able to receive and send email. The Blackberry became a symbol of status and importance. Now owners and subscribers to Blackberry’s service could receive and send email anywhere. This feature is now available on almost every smart phone produced. This year saw the introduction of the first mobile phone capable of connecting to the internet – the Nokia 7110. Internet browsing was limited, however. With the ability to send text messages followed the ability to attach graphics to make texts better or to use graphics to communicate and save words. Emojis, small pictures able to convey emotional responses, were invented by Japanese Shigetaka Kurita. The attraction of the no-contract mobile was well and truly echoed in the price war that ensued after three major supermarkets – Tesco, Asda and Sainsbury’s – offered discounted price Pay and GO handsets for under £40. This is quite possibly the most iconic of mobile phones. It sold over 126 million worldwide and is renowned for its robust build and battery life. So popular was this mobile that it was revamped and re-launched in an updated version in 2017. The original had a number of original features: a calculator, stop watch, reminder function and four games. It would also handle texts up to 459 characters. The world’s first mobile phone with a camera was launched in Japan in the Sharp J-SH04. Unfortunately this innovation remained particular only to Japan. The world’s first globally-available camera phone was the Nokia 6750 in 2002. This year saw the worldwide adoption of the 3G standard. From here it was a short step to internet-enabled mobiles. The Apple iPhone was introduced and the rest is history. The T-Mobile G1 was the world’s first mobile to use Android. This year saw the first Samsung S Android-powered smart phone. The series has gone on from strength to strength and is the world’s most popular Android smart phone. For a more interactive and up to date timeline, the mobile phone comparison site Tiger Mobiles have produced an interesting timeline on the History and Evolution of the Mobile Phone. This contains some very well created graphics of the handsets of the time and we thank them for allowing us to use some of the images here.